Doris Lessing responded to the contradictions of our time by facing them with unmatched courage. In the late fifties, my late wife Nina Apel Birnbaum and I lived in London. I joined the expanded Editorial Board of the journal Universities and Left Review founded by Stuart Hall, Gabriel Pearson, Ralph Samuel and Charles Taylor at Oxford. With the New Reasoner (Edward Thompson et al.) it later merged into New Left Review (1959) Those years were full of cultural and political excitements. These included the emergence of a movement of protest against the incorporation of a nuclear-armed Great Britain in the nuclear strategy of the United States. There were also tensions from the rapid increase in migration from the Third World (then, primarily, the British Commonwealth) to the United Kingdom. A good deal of attention, not all of it profound, was given to the problem of the Labour Party. Was it the political expression of a movement for change—or an excessively cautious and conformist partner of Britain’s established elites in governing a potentially restive nation? In these years we met Doris Lessing. She was already published, although this was before the striking achievement of The Golden Notebook. Indeed, I recall going to the London district of Notting Hill with her and her friend, the American writer Clancy Sigal, in 1958 just after a violent conflict there between Caribbean immigrants and the London police. I saw a bit of her in later years, on her visits to the US. I recollect a dinner at the home of William Phillips, late editor of the late Partisan Review. The home team were New Yorkers, contentious and loud. Doris responded with an outer smile which no doubt expressed inner laughter. In the end, everyone got the point. 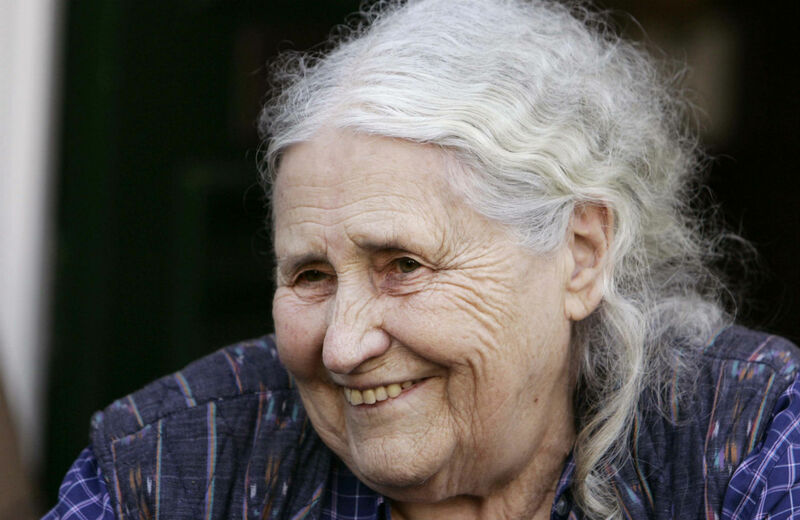 What struck me about the younger Doris Lessing was a great deal of reserve, conveyed as curiosity and patience. She was an extraordinarily intense spectator, who said little but took in very much. One could see in her very expressive face that affect and thought, impulse and perception, were in continuous movement. She saved her initial responses to situations for reflection and literary refraction. Only a quite extraordinary inner discipline could account for her steady production of the most varied themes in different genres. In that, she resembled another great literary artisan, Norman Mailer—despite the obvious differences which opposed them. She responded to the contradictions of our time by facing them with unmatched courage, often put in the language of an uncommon common sense. That made her not only a great writer but a very practical moralist in the guise of a visionary.